We know the importance of delivering high-quality, reliable translation and interpreting services. Tens of thousands of clients have entrusted us to deliver their message accurately and quickly to clients throughout the San Francisco Bay area for 20 years. Our seasoned team of language professionals covers every industry and language. Whether you need a written translation of an employee handbook into Spanish, a Russian patent translated into English or anything in between, we have all of your language needs covered! In addition to our translation services, Indy Translations provides face-to-face consecutive and simultaneous interpreters for corporate and government conferences, hospitals, medical facilities, nursing homes, courtrooms, law enforcement and social service agencies. We also offer 24/7 telephone interpreting, as well as American Sign Language (ASL) interpreters onsite or through video remote interpreting (VRI). 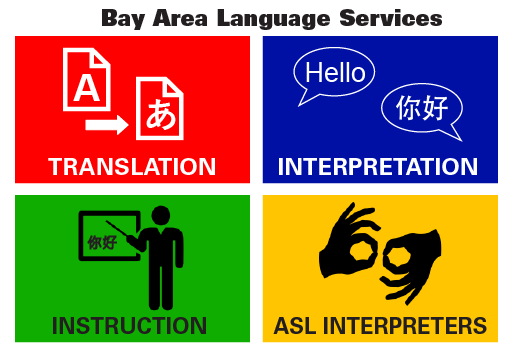 Give us a call to learn more about our translation and interpreting services or email sf@indytranslations.com.